Putting his musical career aside for the time being, DJ Khaled has now set his eyes on Hollywood. Indeed, the famous record producer will be featured in ‘Bad Boys For Life’ with Will Smith and Martin Lawrence. Production has just started for ‘Bad Boys For Life’ and an addition has been announced. Dubbed Hollywood’s most coveted DJ, DJ Khaled has joined in a currently untitled role. The storyline of the film sequel will take place in Miami and see the old-school cops collide with younger and fresher members of the police force. Launched in 1995, the franchise, from which ‘Bad Boys For Life’ stems, has garnered $400 million over the years. Will Smith starred in the films and portrayed Detective Mike Lowrey in the two previous movies. He was partnered up with Martin Lawrence’s character, Detective Sergeant Marcus Burnett. They will both feature alongside DJ Khaled in the film. Furthermore, Jerry Bruckheimer, who was also producer for the previous movies of the franchise, is back for ‘Bad Boys For Life’. He has worked on some famous flicks including ‘Top Gun’ and ‘Pearl Harbor’. After a variety of changes, Adil El Arbi and Bilall Fallah will be directing thus replacing Michael Bay and Joe Carnahan. 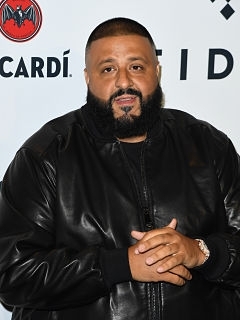 Starting off as a radio host and currently working with some of the biggest names in the music industry, DJ Khaled is set to appear in his third movie. Indeed, he has previously voiced a character in ‘Spies in Disguise’ and starred in ‘All-Star Weekend’.